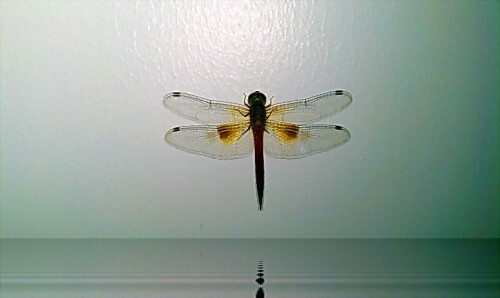 This is what a wall in your house might look like if a dragonfly landed on it when there was a flood. Photo taken at Tong’s juku where I teach high schoolers English on Thursday. I ‘shopped in the water for fun.